#UM84R. 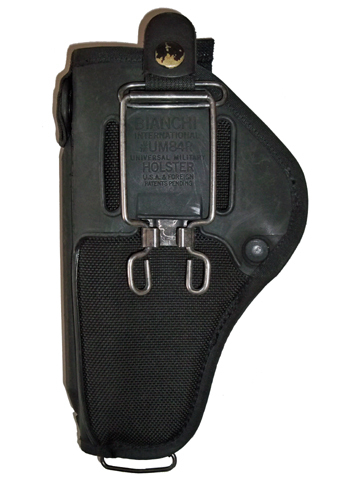 Universal Military Holster. C/W cleaning rod, L/H or R/H use (ambidextrous design). Black Nylon. Suitable for Glock, Sig, H&K, Walther, Colt etc.